This book, which promises “the fond memories of a fan who became Elvis’s private secretary,” has all the earmarks of a potboiler. Replete with typos and grammatical errors, it includes much previously published information. Its authors refer to Elvis in both past and present tenses; and their material has little to do with the titles of chapters that contain it. 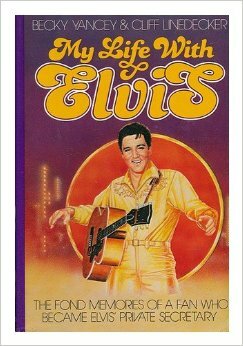 Even without the aforementioned problems, the book could be recommended only to the most fanatical of Elvis’s fans. Saying practically nothing about his music and revealing almost as little about his personality, the authors instead concentrate on fanzine-style trivia of the lowest order. Do you care that the sunporch at Elvis’s mansion is painted heliotrope with gold trim? Or, for that matter, do you care what color pajamas he was wearing when he died? If not, you probably ought to pass this by. Chris Rea: Whatever Happened to Benny Santini?